Vickie Y sharing a CAS (clean and simple) card with you today using one die from the DRU online store. To begin, I created an A2 size (4 1/4" x 5 1/2") folded cardbase using white cardstock, then a layering panel of 4 1/8" x 5 3/8" for the die cut and another panel cut at 4" x 5 1/4" to use for inked panel under the die cut panel. 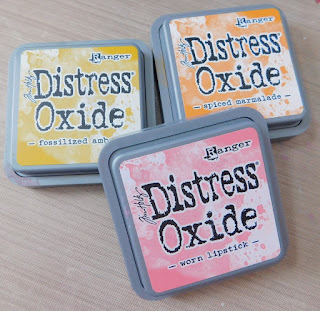 I used these Distress Oxide inks to sponge the ink onto the inked layering panel. 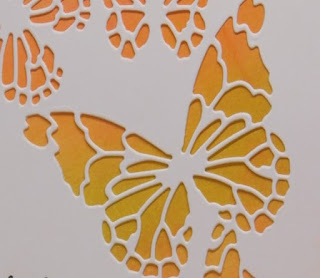 I then adhered the Reverse Butterfly Collage die cut panel over the inked panel and used dimensionals to pop panel up onto the white cardbase. To complete the card I used a stamp from the Penny Black Happy Snippets stamp set. 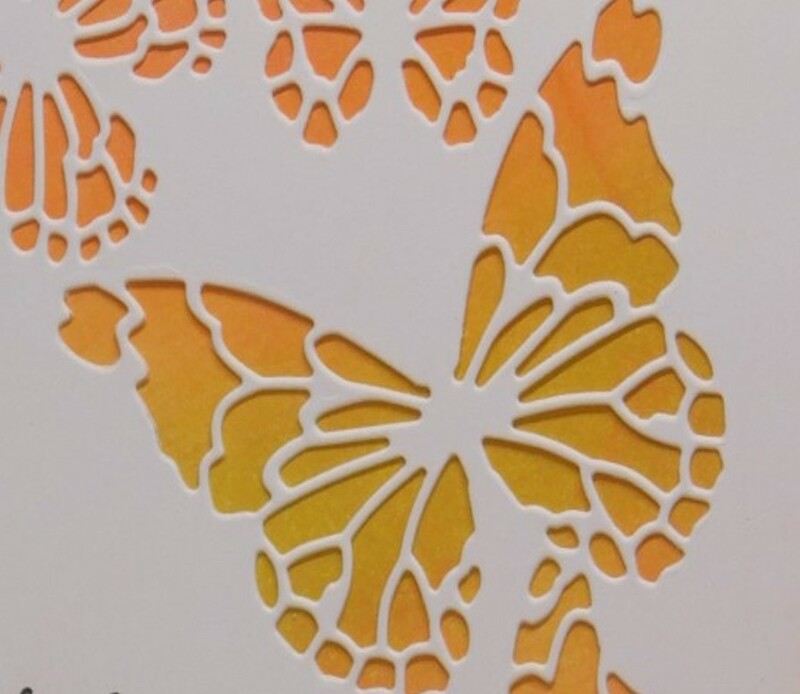 Your blended colors make those butterflies really stand out beautifully Vickie. 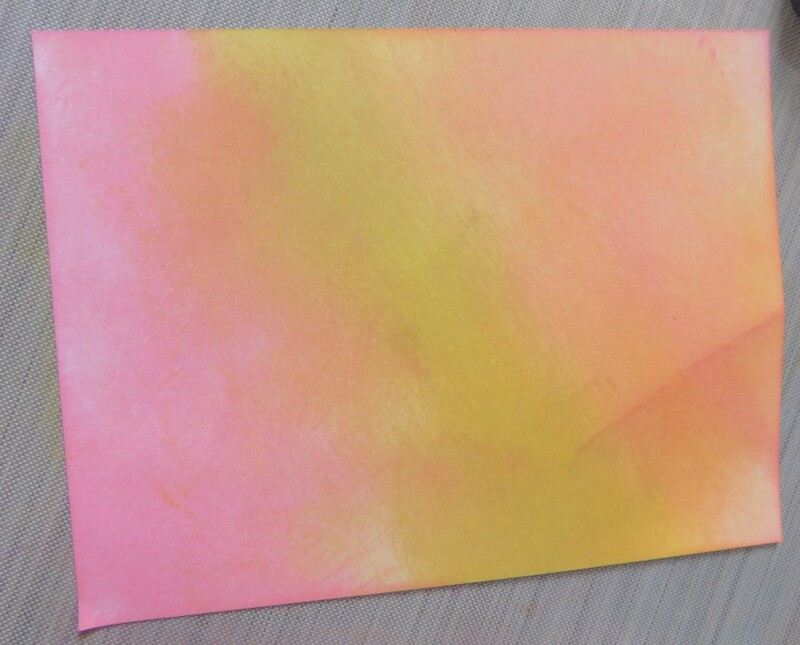 What a pretty spring inspired card! What a pretty CAS card. 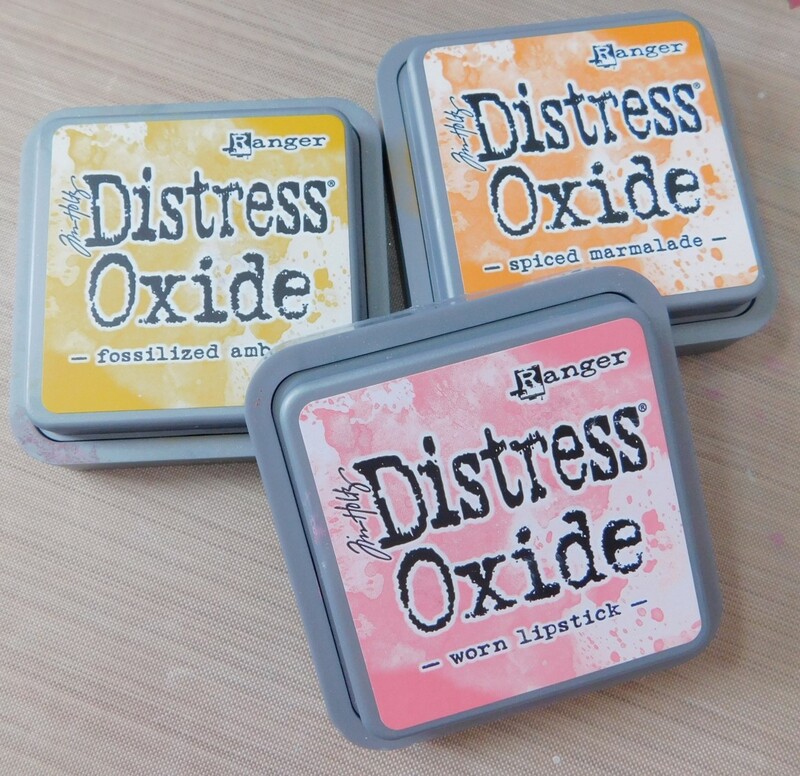 The colors and dies that could be used are endless. I love the butterflies. 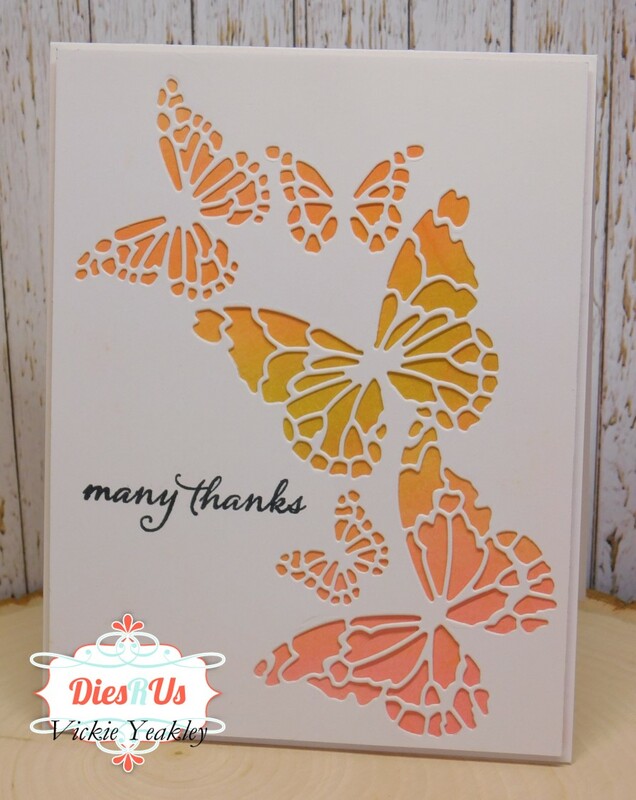 Beautiful card Vickie ... love your oxide ink background! Awesome inspiration ... thanks! Beautiful background, I love those butterflies! What a great card, love the background. 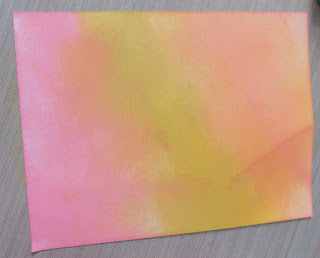 such a pretty card, just love those oxides!